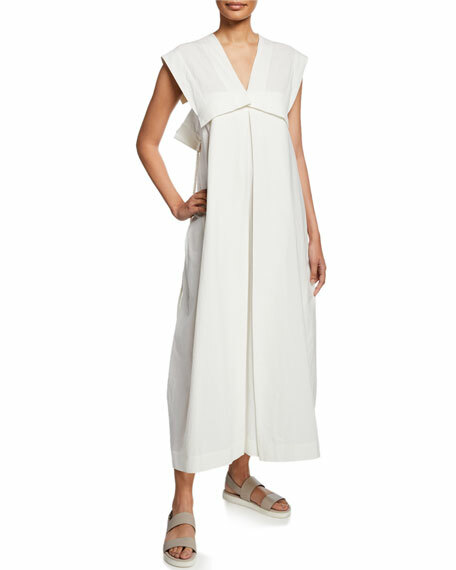 Issey Miyake dress with wide straps. Gathered sides with drawstring sides. 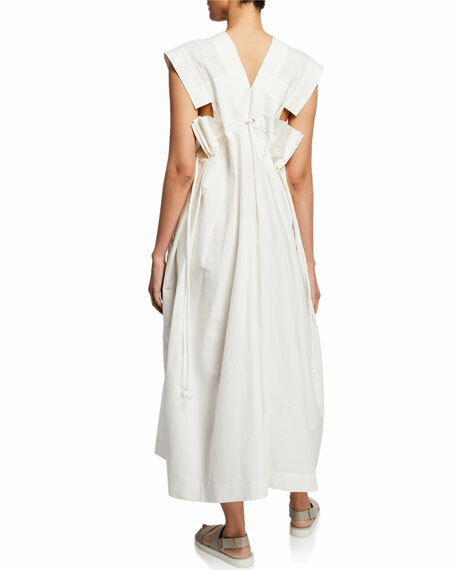 Empire waist; inverted front pleat.